In our London office, we have a team meeting every Friday, usually with some wine and beer. It’s a great time to go over the developments from the week and talk about office topics in a social setting. For some time, I’ve noticed that the team members read from a decorative box, labeled “Ideas / Thank you’s” at the meetings. 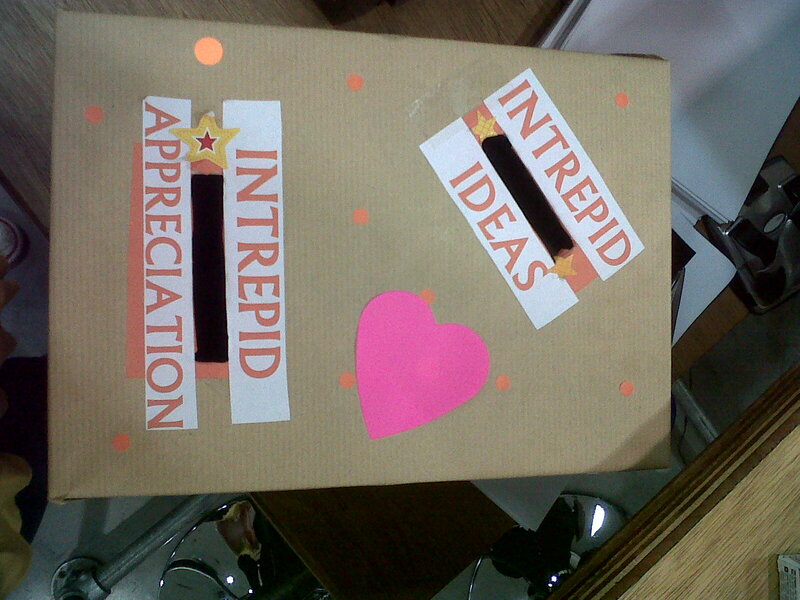 It is a great way to make suggestions and give compliments to co-workers. In this particular meeting there was a “thank you” to a certain project team for their outstanding work. There was another “thank you” for all the compliments for a new-born baby by the father. From the ideas side, I’ve heard suggestions for a team outing. All the “ideas / thank you’s” are then posted on a section of the wall for some time for all to view. What a great way to promote positive energy into the office. Simple and effective. Impressed, I explained the “idea /thank you’s” box to our Seattle office, which will now soon implement as a part of that team’s Friday meetings. Posted in Company building and tagged team building, thank you. Bookmark the permalink.